A new children's biography covering the lives of Houdini and Charlie Chaplin has been published in Indonesian. 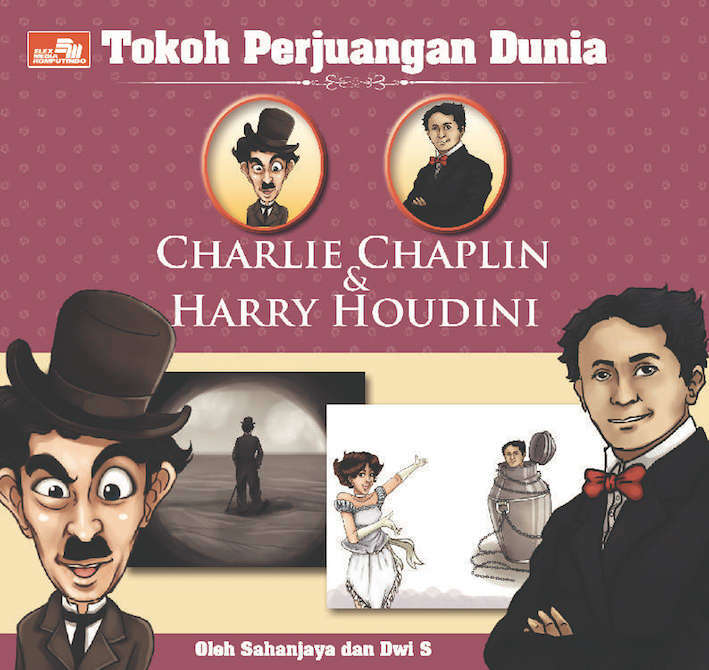 Charlie Chaplin & Harry Houdini by Sahanjaya Dwi Suputra is available in print and eBook from the website Scoop. Sometimes books like this will have an English language equivalent, but it appears this one is original to the territory. Houdini and Charlie Chaplin met in Los Angeles while Houdini was on his 1915 U.S. vaudeville tour. You can see the photo they took that day via the first link below.